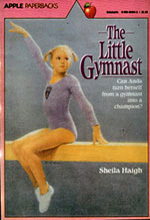 Sheila Jeffries made a considerable contribution to children's literature when she was very young. She wrote four full length children's novels which were published before she left school. Written under her maiden name SHEILA CHAPMAN, in the popular 'pony story' genre of the time, the books continued to sell worldwide until the eighties. After studying at Bath Academy of Art, Sheila trained as a teacher and spent many happy years teaching Special Needs Children in London and Sussex. She began to write full time in 1982 under the name SHEILA HAIGH , found herself an agent , and had eight more children's books published by Methuen, Blackie and Scholastic. A more recent project was a commissioned Mind Body Spirit book, TALKING TO FAIRIES, published by Element. 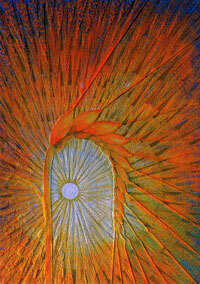 Sheila is also a successful artist and solo exhibitions of her work were shown in London and in the West Country. In the nineties she moved to Cornwall and had her own studio selling paintings, cards and books. Clairvoyant from childhood, Sheila developed her interest in esoteric subjects, particularly healing and sacred geometry. This led her to discover a new landscape zodiac in Cornwall, and to publish three new books on this topic CORNWALL'S LANDSCAPE ZODIAC , and a book about her art work, SONG OF THE SUN. Sheila Jeffries has brought up a family, helped to run a small-holding, and planted a fifty acre wood with her husband Ted. In her spare time she likes to study ley lines, Feng Shui, and ecology. She writes and reads poetry and has won a number of prizes including the Southern Daily Echo Poetry Trophy and the Writers Forum Prize. Now living in Somerset, Sheila is writing some new books for children, an adult saga, and two non-fiction Mind Body Spirit books.